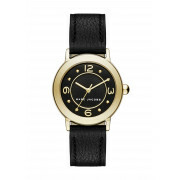 A contemporary yet feminine timepiece, the slim Riley watch from Marc Jacobs is designed with a black leather strap and contrasting gold plated case. 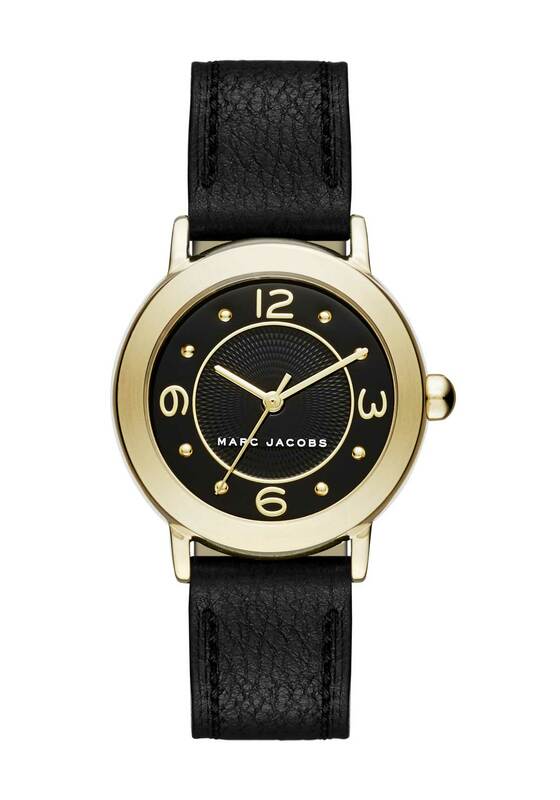 A contemporary yet feminine timepiece, the slim Riley watch from Marc Jacobs is designed with a black leather strap and contrasting gold plated case. The chic black face features numerical and dot time markers, three hands and logo branding.